The distance today is over 40 km. Actually walked just under 30 km. 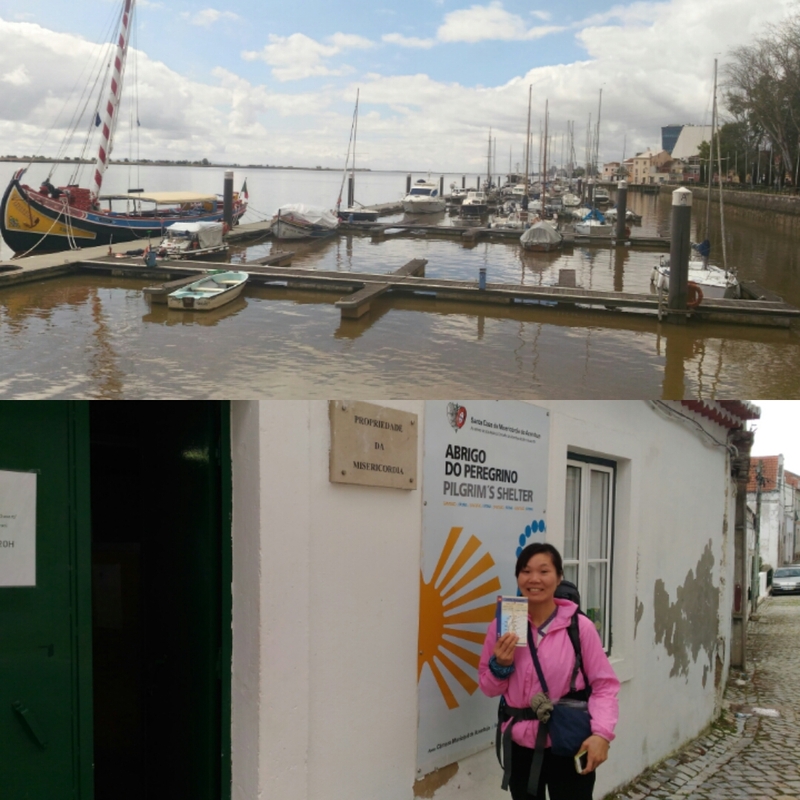 Yesterday there was a girl (Bowie) from Hong Kong on her first camino. As usual to much weight as she had visited other countries (had bought souvenirs) before walking this camino. The hospitelero Charles had advice her to sent it via post to Santiago at the end of the day's walk at the post office in Villa Franca de Xira. But seeing a not so nice trail in some parts and the potential rain we took the train after a few km of walk, hence the less than actual mileage. 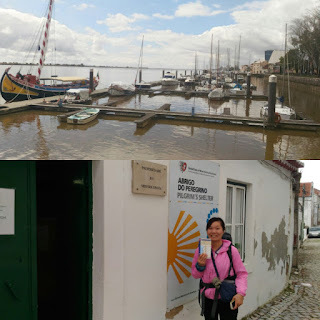 I tried to help her at the post office even without knowing Portuguese as her English is also limited. Nice town, nice buildings with a boat jetty. In fact the towns from here onwards are nice but the trails (wet from all the rain) or roads (fast cars) are not. The short train ride helps. Then a better drier walk onwards to Azambuja. There is an albergue there (6 euros). Because of the distance assist today's pilgrims are a different bunch. Fron Denmark (residence in Bangkok), French, Catalan, Canadian. 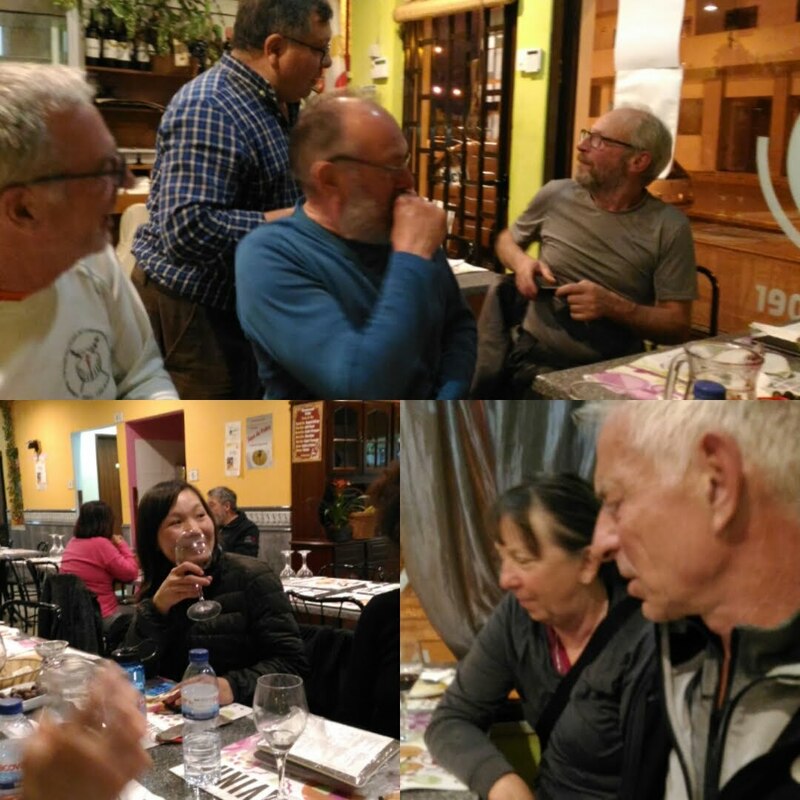 At dinner even some who walked but stay at private hostels join us. 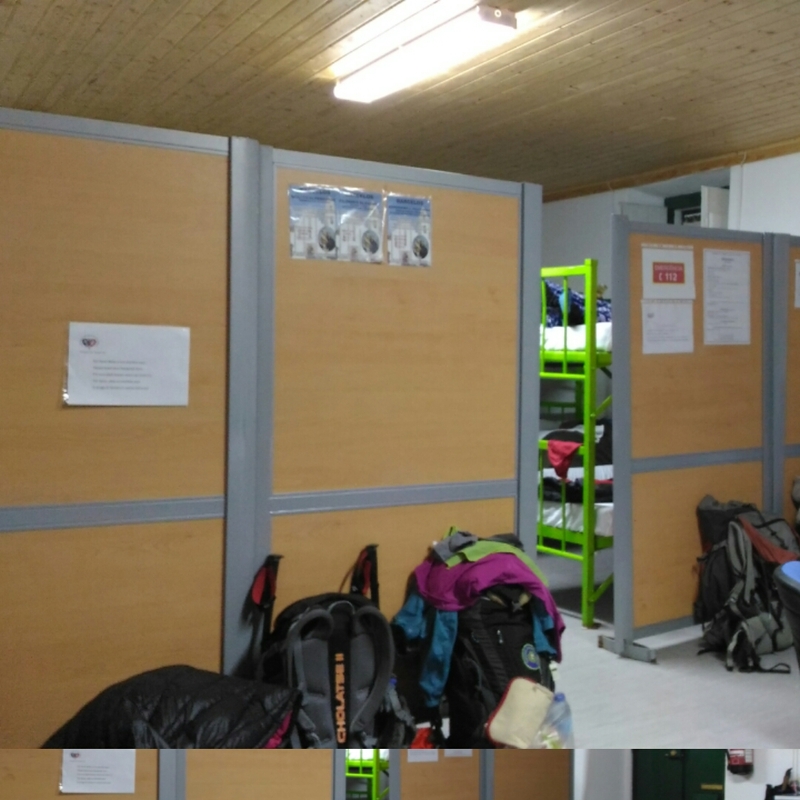 10 from the albergue (completely full) and 4 who stay at other private hostel. They cost more but no bunk beds, shared toilets, snorers like in a cheap albergue (Abigo in Portuguese). Also the abigo are really cold from this weather. Didn't rain much today but still cold wind. Maybe the next stop I will choose a hostel to pamper myself for a change. I have decided for this segment to Porto, I will do it in half the time with assistance (train when possible) until Porto. Then I will walk all the way to Santiago without assistance. The extra days I gain I will use it to visit a friend in Spain. Again, so many interesting people even if the conversation are short with some of them.